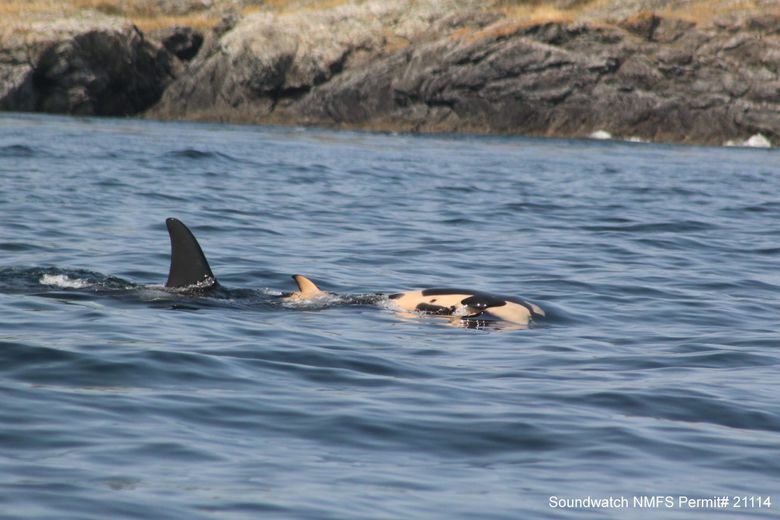 Researchers searched all day for the grieving orca mother. Then they found her, still clinging to her calf. As the sun set and the windswept seas settled in B.C. 's Southern Gulf Islands, she came into view. "She is blowing me away with how fast she can swim and how far she can go," a researcher said. SWANSON CHANNEL, B.C. — Researchers searched all day Tuesday for orca mother Tahlequah, or J35, who has captured worldwide attention for carrying her dead calf for a week. First, in late afternoon, members of her clan came into view. 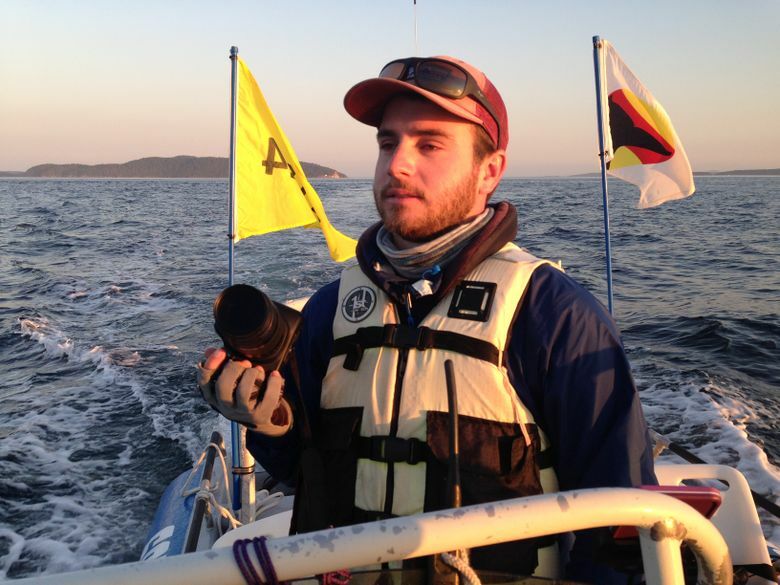 The boat full of researchers scanned the water, ruling out one whale after another. As day turned to evening and windswept seas settled, she came into view in a 1,000-foot-deep stretch of water in B.C.’s Southern Gulf Islands, as her family traveled around her. But was her baby, a calf that lived for just a half-hour, still with her, pushed along in a ritual of mourning? “It can be hard to see,” said Taylor Shedd of Soundwatch, who has been monitoring the mother at a distance. And then: “I saw it,” he said. There it was, tiny, and still held on the mother orca’s rostrum. It was day eight for Tahlequah. She has traveled hundreds of miles in that time. What could be seen in the setting sun was just a tiny corner of the calf’s pectoral fin and an orange glow close to her body, the natural color in every newborn calf. “I am relieved we see her, that she is healthy and swimming strongly, and that she is with her family,” Shedd said. “But it is so emotional that she is so caring. It boggles my mind. To carry it is hard for her physically and mentally. It is just heartbreaking. Tahlequah is a member of the endangered family of southern-resident orca whales, with only 75 members. Every birth matters, and every female in particular. The crisis with J35 comes even as another member of J pod, J50, appears to be starving to death. The whales have not had a successful birth in three years. Researchers plan to track J35 until she releases the calf. They hope to retrieve it and study why it did not survive. 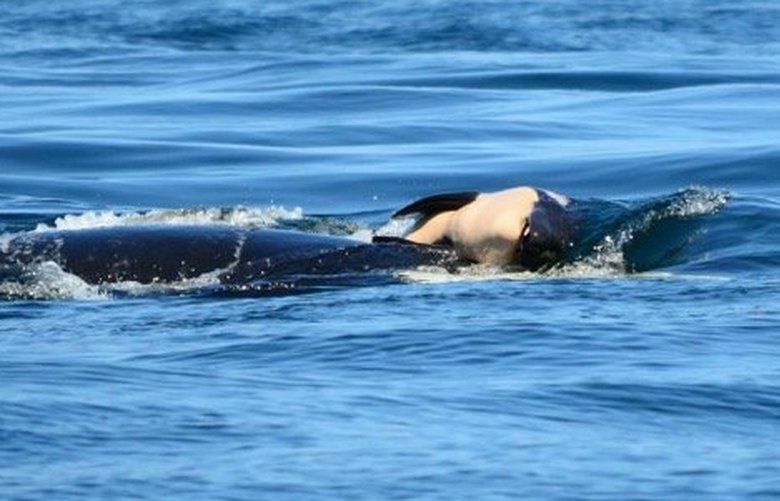 The Seattle Times has seen an outpouring of reactions to Tahlequah and her calf. Here’s a form for you to share your own with us.